So many places to see, so many things to explore. So much life and joy awaits you always in the land of smiles. Come visit and make the trip your own, we’re always here to help! The update on the political situation in Thailand. 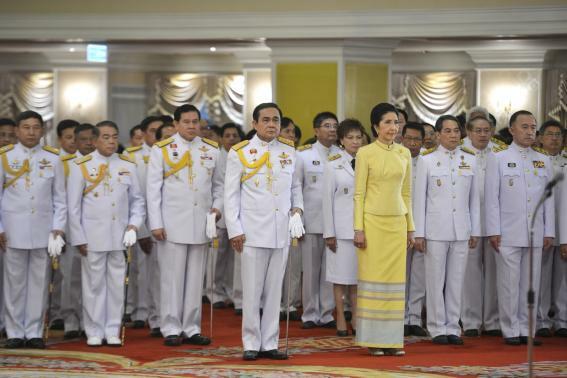 On 26th August 2014 Thailand has a new Prime Minister, Mr.Prayuth Chan-ocha. He is a military officer who now serves as the Prime Minister of Thailand. 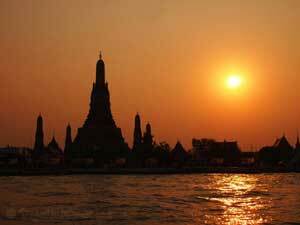 While outsiders may have many views on the political situation in Thailand and how he came to power via the coup, all can agree that at least things are getting back to normal, be it the economy, social, and tourism. There are no interruptions to daily life and most importantly things now seem under control – no protests, no violence. 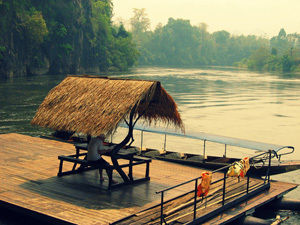 We believe Thailand is back on track to be the beautiful country that everyone can visit and enjoy without any worry. We, as always, look forward to welcoming you to the beautiful Thailand. 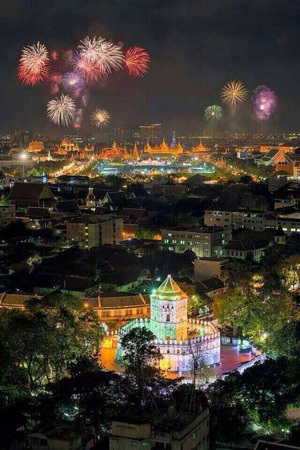 Thailand is a country rich in tradition. 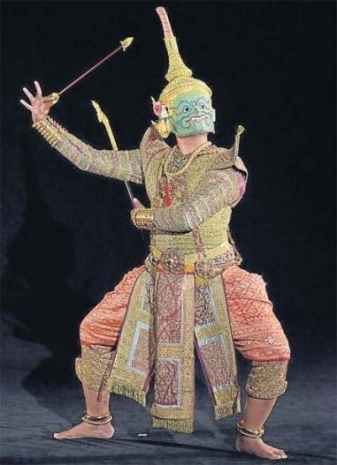 Khon is a traditional Thai dance drama that used to be strictly rendered in the royal court only. But not today, where you will have opportunity to experience Khon right in the center of Bangkok. 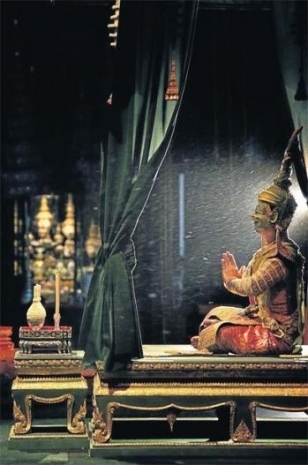 During August 2014, two department stores in Bangkok will be featuring royal Khon performances free of charge. A great opportunity for anyone interested to know more about this traditional form of dance drama that has been performed in Thailand for several generations. “The Royal Khon Performance: Wisdom of The Kingdom” starts from 1st until 12th August 2014 at Central Chidlom and Central Embassy. The event will emphasize the background of Khon through photographs and an exhibition of costumes, jewelry, masks, and other accessories and adornments. There will be live performances every Saturday and Sunday at 5 p.m. On the Mother's day 12th August there are 2 performances at 2 p.m. and 5 p.m. There is no admission fee and the exhibition is open from 10 a.m. to 10 p.m. I must admit I felt more than a bit worried for my scheduled visit to Bangkok in June 2014, fresh after the coup with the curfew being enforced and all that. Luckily, the curfew was officially over before my arrival and I was told life is - well, more or less - back to normal across the country. With this news in hand, we touched down in Bangkok this week, quite apprehensive about the state of the city during this period of military control. It turned out the apprehension was quite unnecessary. On our trip from the Suvarnabhumi airport we passed one Humvee, seeming a standard transfer protocol between bases. And that was it – there was nothing else to suggest the situation being out of the ordinary. No gatherings, no protests, no tanks, and no soldiers. And all the shops, restaurants, attractions, and nightclubs are operating as normal. If someone who didn't watch the news came here at this time, they wouldn't have a clue that something had happened to begin with. That's how normal Bangkok appears to be at the moment. Now, apparently the city has experienced its highs and lows during the last year, so trying to predict the future seems futile. Instead what I can say now is that you should put Bangkok back on your list of Asian cities to visit, considering that there's definitely nothing to worry about at this point. 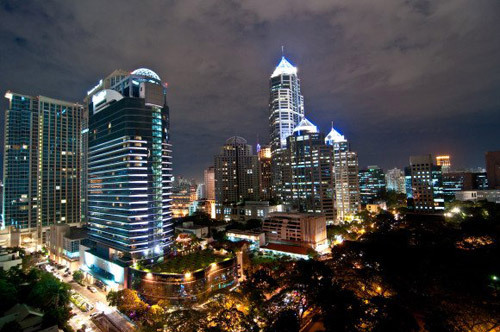 I hope the sharing of my experience will ease your concern of visiting Bangkok. Approximately 3 hour journey from Bangkok by road takes you to the popular and well-liked beach resort town of Thailand, Hua Hin. Of course our It’s easy to grasp why Hua Hin is so popular and one look at the images on the internet will leave you spellbound with its splendor. What can be a better proof of the above assertion than the fact that even royal family of Thailand selects Hua Hin as their preferred holiday destination. Since early 20th century the royals have come for holiday in Hua Hin and currently the King resides in Hua Hin almost full time now. The foreigners visit Hua Hin not only for the royal resort and its marvelous beaches, but also because Hua Hin is renowned as golfing county. Big golf courses sprawled in acres of area make Hua Hin a wonderful choice for golf enthusiasts. 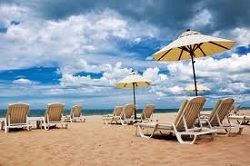 For them, the beaches even come as a bonus where they can shed off their exhaustion after an absorbing 18 holes. 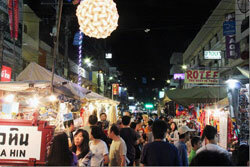 The night street market of Hua Hin provides visitors with myriad of things to buy, among them Khommaphat printed cotton piece and special dusters unique only to Hua Hin. One can find delightful seafood prepared in Thai style on many stalls. Hua Hin is well-known for its Vintage Car Rally too, where one can re-live in early 20th century. And if you happen to be in Hua Hin around March to May, the clear blue Hua Hin summer skies will be filled with numerous kinds of kites, a spectacular treat for kite-runners and photographers. Confirm the event though as this International Kite Festival is held only every alternate year. For the music-lovers, the Jazz Festival in June is the main attraction where jazz melodies fill Hua Hin air around the clock. Therefore apart from visiting the royal palace, one can visit the nearby Takiap Hill to check out spectacular view and as a bonus get blessings in Buddhist temple. But one of the biggest surprises is Hua Hin railway station, the so-called loveliest railway station of Thailand which dates years back and is well preserved for its vintage aura. A bit further afield you can do wine tasting in the Hua Hin Hills Vineyard along with a delightful Thai cuisine looking over the magnificent view of Hua Hin. Another exceptional thing about Hua Hin is just ideal way of kite-boarding conditions provided by its beaches - a steady wind, mostly flat waves forming from shallow tepid water and the availability of many kite-schools can let you take on the activity very favorably.